Finding good product management help is hard. Many people have managed products, but few have actually done it well. Poor execution on a great product idea can severely hinder company growth, so it’s very important to build a strong product management team. To help you with this crucial component of your business, I’ll focus on the various roles played, the perspectives needed, the messaging required, and the desired skills of a great product management team. Every basketball fan understands that you don’t just throw five guys together on a court and tell them to play if you want to rise above the pickup games at the neighborhood playground. Each player has a position. Each position emphasizes different skills. Understanding the responsibilities of a frontcourt vs. a backcourt player helps you build your team appropriately. The table below provides a side-by-side, comparative view of the responsibilities of each role. The best product managers are able to represent both the buyer and the seller perspectives. 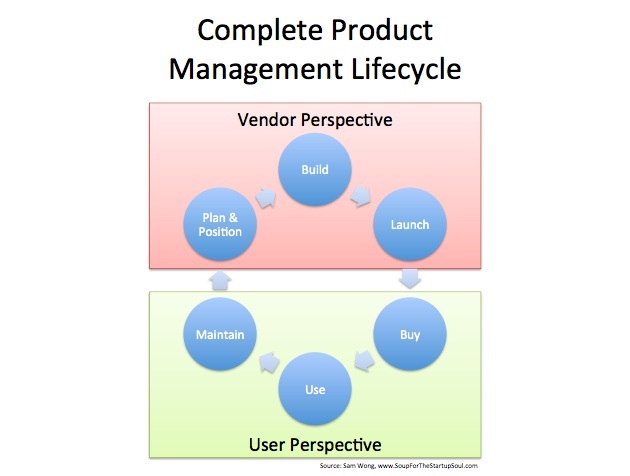 Amazingly, the vast majority of product management teams only focus on the perspective of the seller or vendor, which includes: product planning and positioning, product development, and product launch. Equally important is the perspective of the product’s buyer or user: product purchase, product usage, and product maintenance. Though some success can be achieved doing a great job on the plan, build and launch steps, maximum success is only found by also optimizing the buy, use and maintain steps. The diagram below depicts how each perspective makes up a complete product lifecycle. Plan: Analyze the automotive market and position the product. Build: Design and manufacture the car. Launch: Execute the go to market tasks required to effectively introduce the product. Buy: Understand and support the user’s purchase and deployment process. Use: Drive the car on a regular basis. Maintain: Service and repair the car as required. Few would argue that the best product managers for a car must have purchased a car, know how to drive, and occasionally work under the hood of the car. It amazes me that many companies fail to staff the product management team with players that have deep experience from the user’s perspective. Without such experience, the car buying experience will likely be painful, the controls and user interface counter-intuitive, and routine maintenance such as an oil change will be overly complex. Too often, companies only consider candidates for product management jobs if they have a certain number of years serving as a product manager. Though this is certainly helpful, one of the most effective product managers I’ve ever worked with never previously played any product management roles. 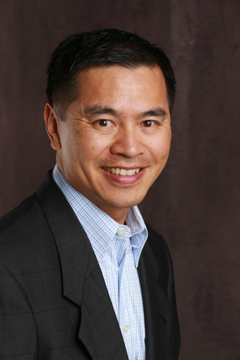 In the mid-1990s, Oracle hired a construction senior project manager away from a design/build engineering customer to serve as the product manager for Oracle Projects. Because he combined very strong leadership, an analytical mindset and great communication abilities with years of experience using large, complex construction project management software, he built one of the best products I’ve ever seen in the enterprise project management market. He was such an effective product manager that I still remember his work over 20 years later, even though I don’t remember his name! Another aspect that amazes me is how few product managers leverage a structured, logical approach to communicate their product’s features in a logical, hierarchical manner. Most product features are presented in a disorganized heap. The most important features are then highlighted as the product’s core value. This approach usually results in unclear messaging that marginally resonates. Any resulting products sales from this messaging are driven by the magnitude of the need rather than the clarity of the value proposition. No one buys features. Customers buy benefits. Don’t assume your customer can derive the benefits from a list of your product’s features. Failure to clearly articulate features, advantages and benefits inhibits the sale of your products. 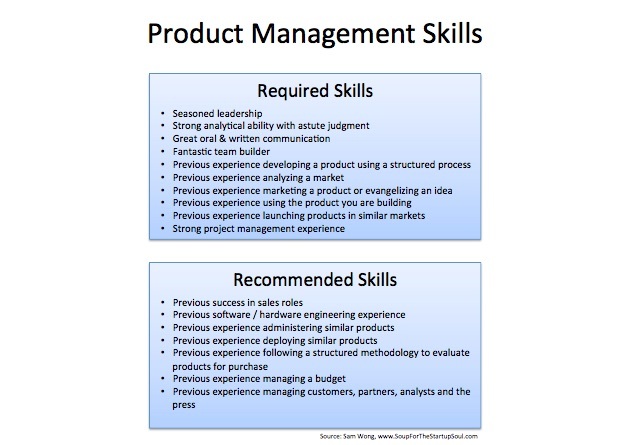 The detailed skills vary depending on the exact product management role played, from Mini-CEO to Product Lead. Every startup begins with a unique idea for a product or a solution. 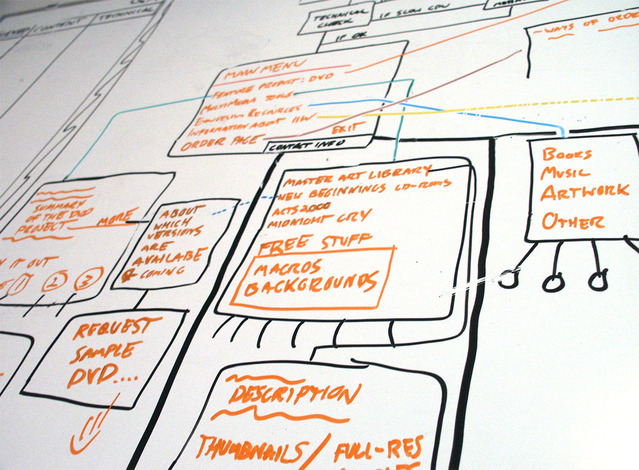 Building your idea into a successful venture requires great product management. If you understand the multi-faceted roles of end-to-end product management, cover the perspectives of both the vendor and the user, clearly articulate the benefits and the value of your product, and hire the right skills, then you’ll have the key ingredients needed for a fertile product management team.